Home / Featured / The Fresh Bloom opens this week! 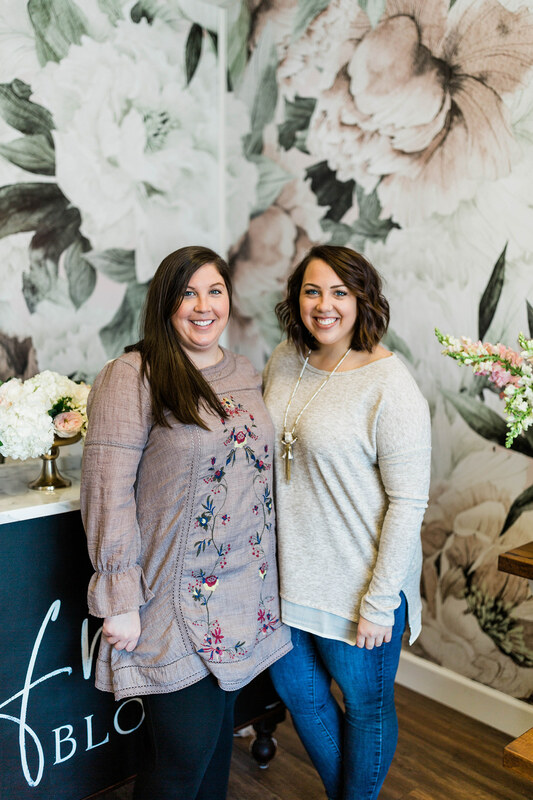 Sisters Sara Bagley and Shelby Bright started planning their new floral venture about a year ago; The Fresh Bloom is a modern flower shop that includes a flower bar and bouquet options in Gainesville. “Sara and I both have marketing degrees. I took a job in the music industry in Nashville…but we were both interested in flowers and design. The more I traveled to Europe the more I fell in love with it,” Shelby said. The Fresh Bloom will open officially at 10 a.m. on Friday (April 12) and there will be a Grand Opening celebration from 10 a.m. to 2 p.m. on Saturday (April 13) with prizes and other goodies. Right now, you can enter their Grand Opening contest on Instagram. One of the grand prizes this week is a free bouquet every week, for a year! Follow them on Instagram (@thefreshbloom) to learn more about the store and to enter the giveaway. To register you must visit the store on Friday or Saturday. In the store, patrons will be able to buy individual stems, priced separately, there will be options for small, medium and large floral arrangements with unique pottery to choose for the vase. There will be new flower arrivals weekly and seasonally and what’s even better is Sara and Shelby are using locally sourced flowers whenever possible. Shelby added that one of the biggest trends in floral design this year is the color coral. “The color of the year is coral and I don’t think that will go out of style, people just love it!,” she said.